Peterhansel failed, Carlos Sainz had many problems and Sébastien Loeb took the partial victory in the eighth stage. The Mini's plan was to attack, but the plans do not always go well. Looking for the tickling of Al Attiyah, Peterhansel stayed twice in the arena and assumed the error, "this time it was not the fault of the system of inflation and deflation of wheels". 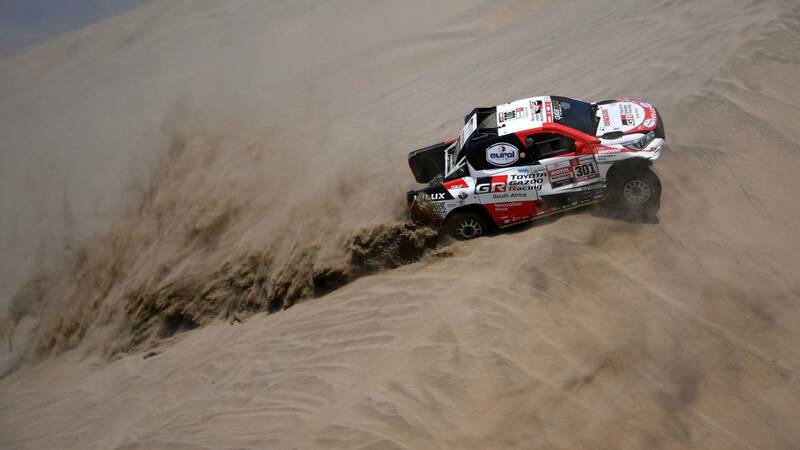 The Frenchman of Mini suffered between San Juan de Marcona and Pisco, in the eighth stage of this Dakar, and he left more than 25 minutes with respect to the Toyota Qatari, each day more leader and increasingly calm. Legaba between applause to the bivouac of Toyota Nasser knowing that only he can lose now this race, with two specials ahead that add 450 kilometers timed. Who did not have anywhere near a good day was Carlos Sainz, with problems of all kinds in "one of the worst" stages he remembers. It marked good times when his JCW Buggy began to suffer in the arena, just like what happened to Despres, and finished at an hour of the best. It is not comfort, but he has won a position in the general thanks to the problems of Ten Brinke and now he is ninth, and he only needs to win a stage to reach the objective after the accident. And a couple of hours later, in his world , like during almost all this Dakar, an unstoppable Loeb appeared to gain the stage, even leaving behind all the motorcycles when the other ten first cars had done it before. "Maybe if it was the fastest in this Dakar, but I lost time yesterday and especially on the third day for the 'roadbook', now Nasser is far, but I'll see," he explained. With his fourth partial victory in this Dakar, he is third in the general standings, 16 seconds behind Nani and a few minutes ahead of Monsieur Dakar. They, tight, waiting for the error of Nasser.